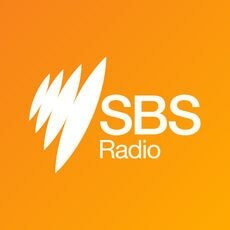 As the market for visa-marriage grows bigger, SBS’s The Feed has led an investigation into Australia's underground visa market in collaboration with SBS Radio's language programs. This is how Helen Chen, producer at SBS Mandarin and member of the investigation went undercover to speak to two different players in this black market. A search of Mandarin-language community online forums led us to find the ads of two men who claimed either that they could assist with a visa marriage, or were looking to pay to get one. Under the guise of being an international student whose visa was soon to expire, I met with K*, a young Chinese Australian man, who met me with a well-prepared opening introduction of what he described as the "five steps of visa marriage." "Payments are made after the marriage, then after temporary reside application, after TR granted, after PR application, and finally after PR granted," K said. Obviously, I’m not his first "client." Another international student from China had been interested in negotiating with him, K tells me, and even paid a few thousand dollars as a deposit. That student eventually gave it up due to the prolonged waiting time - it could easily take up to two years to go through the whole process of getting married, fabricating the necessary documents for proof of genuine relationship, applying for temporary residency, and finally applying for permanent residency. What is worse for those that choose this route is that these two years will be tough. "His friend was visited by the DIBP [Department of Immigration and Border Protection] at midnight. They walked directly into the bedroom to feel whether the bed is warm." The fake-couple's life together in the same house could constantly be under the surveillance of the Department of Immigration's Compliance team and a simple mistake could give away the fact, leaving all their efforts and expenses in vain. "A friend of mine told me that his friend was visited by the DIBP [Department of Immigration and Border Protection] at midnight," says K.
"They walked directly into the [couple's joint] bedroom to feel whether the bed is warm." "This is far more difficult than you expect." "Until they are sure that the relationship is genuine, their investigation just go on and on." "It is not breaking the law. It is making use of the law." In spite of this, K believes it is still worthwhile. He is expecting as much as $150,000 - in cash. He stated the price again and again when we spoke. As to whether he is worried about legal consequences, K was very blunt: "It is not breaking the law. It is making use of the law." He justifies this by adding "It is only a trade I’m doing - the partner marriage visa is designed by DIBP." "The law is made by the government. We are not breaching the law. "The materials are prepared by ourselves, not fabricated on the computer. "We both contribute to it. You are the purchaser. I’m just a seller. He says the consequences never concerned him, nor did the moral guilt. He even mentioned to me that if breaking up with his girlfriend would facilitate the trade (visa marriage) he wouldn’t be hesitant to do it. Then of course, there are plenty of would-be migrants who pursue visa marriage and are willing to pay K’s price. Chen*, the second Chinese guy I met with after making contact via online forums, is one of them. Chen has been doing labour work in Australia for many years since he moved here from China. Appearing a bit shy, he speaks very little English. All of his colleagues are Chinese, thus he seldom reaches out to the English world, or more precisely, the outside world. This has made it extremely difficult to understand common and legitimate ways of obtaining permanent residency. Visa marriage is his last hope. "A lot of people have done it successfully," Chen says. "I'd be willing to pay $100,000 for the marriage." The consequences of breaching the migration law doesn’t bother him, either. The worst case is getting deported back to China, and that is the same result of inaction—his visitor visa is expiring soon anyway. He regards visa marriage as an investment. In our investigation, Chinese Australian community are just one of the many communities in which the visa marriages infest. Besides this, many paid for thousand dollars or even more to get sponsored by an employer for migration. They lost their money, as well as their hope.